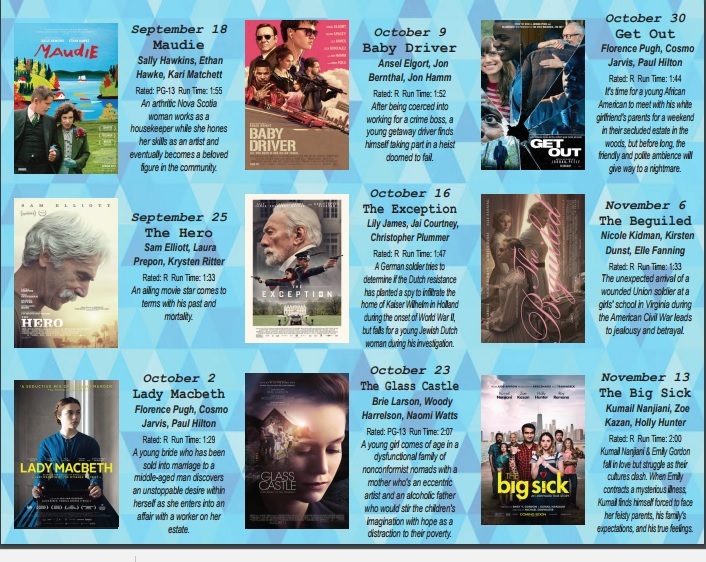 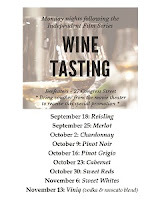 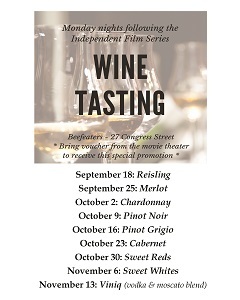 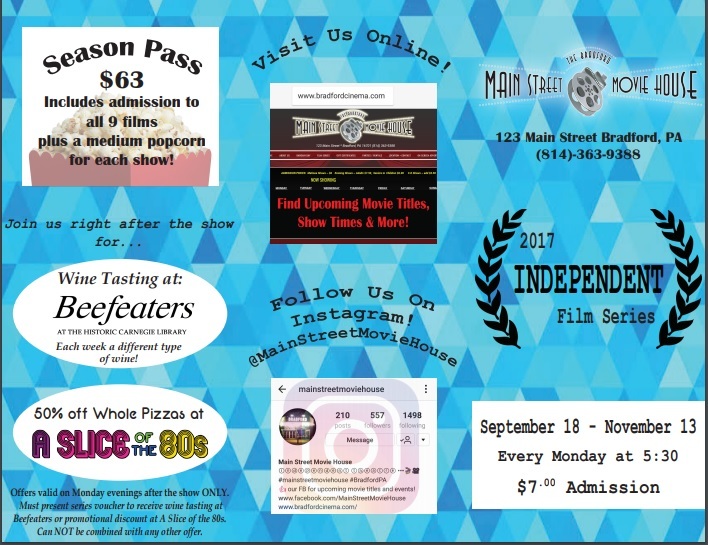 The Main Street Movie House has announced its fall Independent Film Series, and something new is being added to it this year. 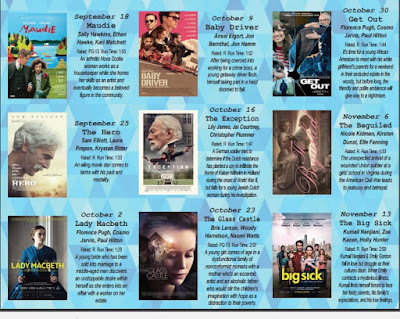 Films will be shown every Monday evening at 5:30. 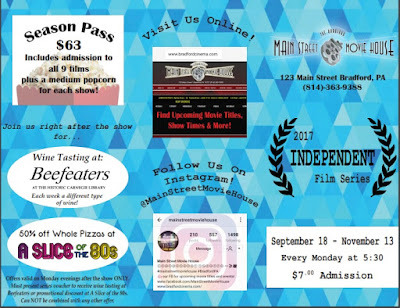 Tickets are on sale for $7 each or a Season Pass can be purchased for $63 and includes a free medium popcorn for each show.